Today’s sweet card was made using this week’s Mojo Monday sketch. 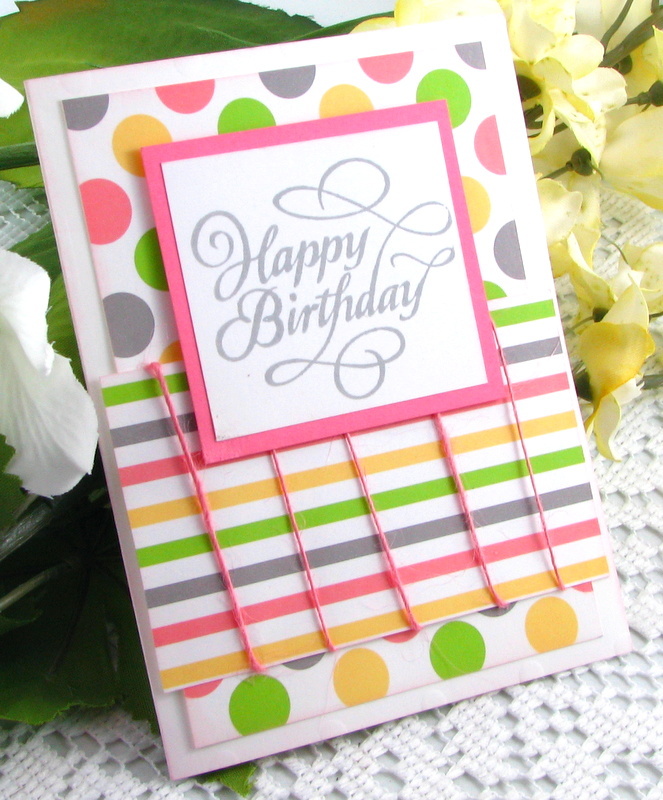 I embossed the White paper base with large polka dots, then embellished it with pretty papers from etamcute on Etsy, and pink twine. 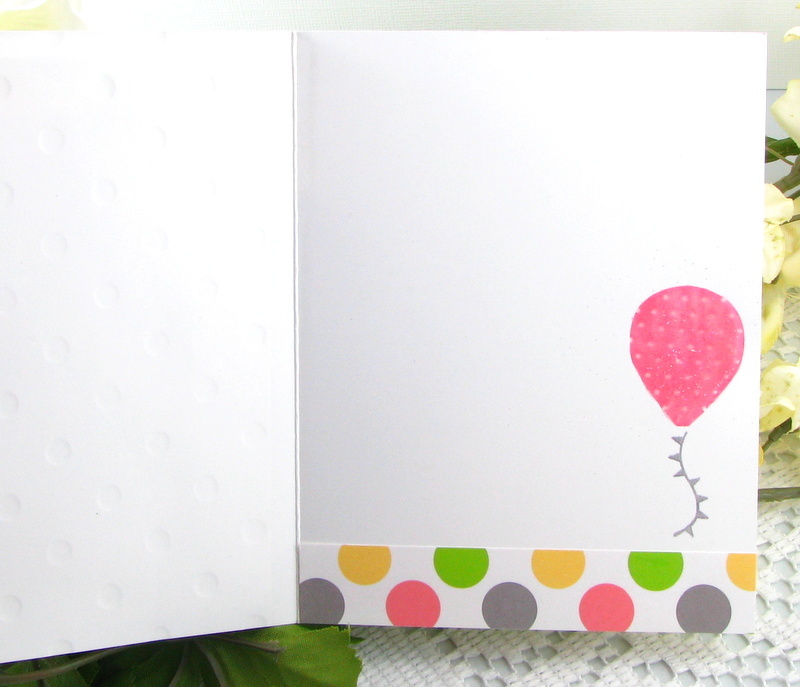 For the inside, I stamped the balloon then added Crystal Effects and glitter.